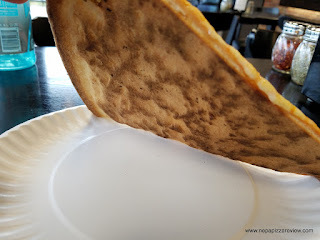 Joey's Pizza is a newcomer to the Dunmore pizza scene, and I like to get to new pizzerias right away, but I also like to give them some time to get settled and work out the bugs before I do a review when possible. Of course, I'm not insinuating Joey's had bugs to work out judging by the many emails and facebook messages I received recommending I go try this place out! Joey's popped up in the same parking lot as Advanced Auto and the Loading Dock on the O'Neill Highway which is a very easy location to access right off I-81. When I walked in, I was pretty impressed what they did with the place. I'm not sure what type of business it was before, but I know it sat vacant for a bit and the place looks great. The style is premade gourmet slices in the case, which is a good business model for a pizzeria just of the interstate. I took a look through the pretty diverse selection of gourmet pizzas to choose from. 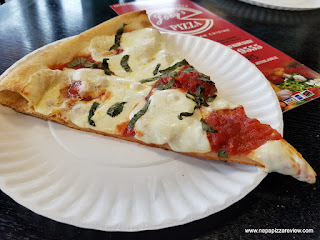 I was greeted by two friendly staff members and I made my selection of a NY style and a margherita slice as they looked fresh and were calling my name. The joyful duo heated up my cuts thoroughly and took my payment. I grabbed my slices, sat down to do my usual pizza photographs, and started to crunch away. 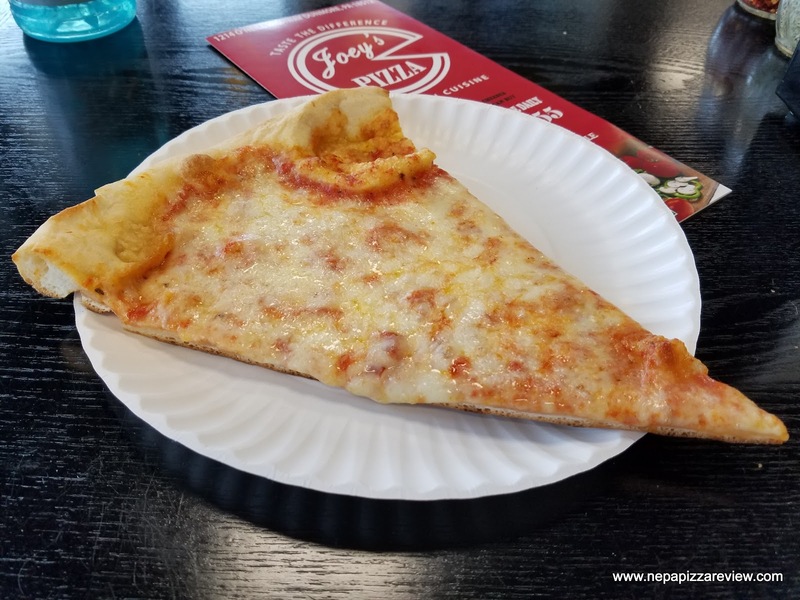 On both slices, my favorite component was clearly the crust as it was light, flavorful, crisp, and just about everything you could want in a quality hand tossed New York Style dough. The sauce was also very good as it was vibrant, hearty, bursting with fresh tomato flavor and had a certain combination of sweetness and zestiness that really satisfied. The cheeses on both slices fell a little flat for me when combined with the higher end crust and sauce, but it was certainly decent enough to pull it together, but some ooey gooey higher end goodness would surely put these pizzas over the top! Overall, I have no reservations recommending this place as the service was courteous and prompt. The place was clean and new and the prices were very reasonable. And the pizza makers clearly know how to put together a quality pie. Although it wasn't busy when I stopped in on an off time, I predict success for Joey's in the future when you consider it's solid location, courteous service, and a quality product. Go check it out and let me know what you think in the comments below!